Nancy (Carpenter) Merrill-Strong, 72, peacefully passed away on Saturday, May 12, 2018 at the United Pioneer Home in Luck, Wisconsin with her daughter Michaela by her side. Nancy Diane Carpenter was born in Pequot Lakes, Minnesota on April 25, 1946, to Ernest “Cap” and Leona Carpenter. Shortly after her birth the young family moved to the Carpenter homestead in Danbury, Wisconsin. Nancy was the oldest of 6 children. 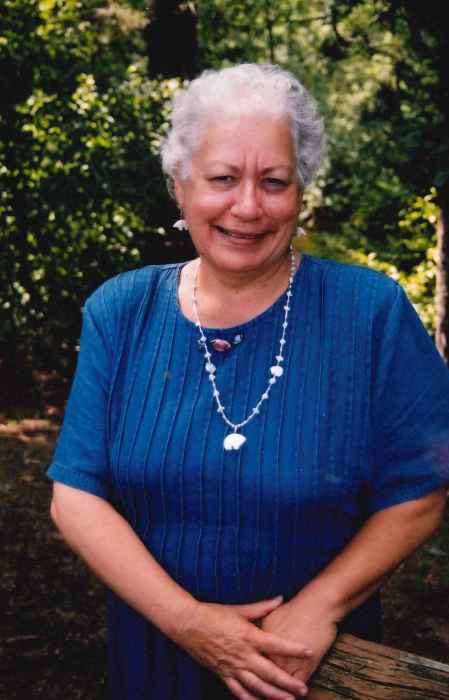 She attended Danbury Schools until the transition to Webster Schools, where she graduated in 1964. Nancy excelled in academics graduating with a BA in Language Arts, and MA in Education Administration from the University of Minnesota. While in college Nancy traveled to Paris, France. She loved the French Culture and was a student of the French Language in which she was fluent. Her life mission was gaining access to Education Services for Native Americans and holding Governments accountable to the people they serve. Nancy was fierce when it came to the rights of Women and Minorities, a tribal member of the Bad River of Lake Superior Chippewa Indians of Wisconsin, she strongly identified with injustices and discriminatory practices, and she had zero tolerance for such things in life, and was never afraid to give voice to her feelings. Nancy’s life work has attributed to the empowerment of Women and Minorities, she leaves a legacy of programs developed, funded and implemented throughout Indian Country, including grassroots efforts of Ojibwe Language Revitalization. Nancy touched many lives during her time here, she is survived by her only child Michaela (Vernon Jr.) Lowe, grandchildren; Damon Bearhart, Adrian Bearhart, Jasmine Lowe, Elizabeth Gross, Abigail Lowe and Sage Lowe, sisters; Jeanne Payer and Patti Carpenter, brother, Michael (Michelle) Carpenter, several nieces, nephews and other family and friends. She was preceded in death by her parents, Ernest “Cap” and Leona (Beggs) Carpenter, sisters, Janice Gangelhoff and Joanne Carpenter, husband of 18 years, Larry Merrill and her late husband, Fabian Strong. Celebration of Life Services will be held at the Danbury United Methodist Church in Danbury, Wisconsin on Monday, May 21, 2018 at 11:00 A.M. Pastor Edward Crise will officiate. The family will greet visitors at the church beginning at 10:00 A.M. Please join the family for lunch and fellowship at the church following the service.